The future of farming is just over the horizon. Are young farmers prepared to fill their predecessors’ boots? Do they have what it takes to conquer challenges facing the agricultural industry? Are they confident to lead themselves and others? The Ohio Farm Bureau Federation’s annual Young Agricultural Professionals Winter Leadership Experience will take place February 3-4, 2018, in Columbus, Ohio. 650 Young farmers from across Ohio are registered to attend the 2-day event. The upcoming conference offers a wide variety of programming to educate, empower and encourage the next generation of Ohio farmers. The Winter Leadership Experience prepares future farmers with knowledge and skills to build a farm business or successful career in Ag. Industry experts and educators will offer workshops in business and financial planning, strategies to manage risk and comply with regulations. Marketing workshops will teach young farmers how to effectively position and sell their farm products. Attendees will learn how to find and communicate with consumers. Video and social media workshops will instruct young farmers how to harness the power of digital marketing to grow their agribusinesses. 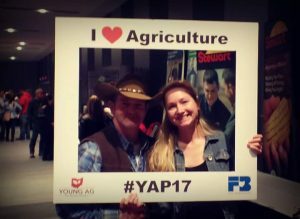 The YAP Winter Leadership Experience empowers young farmers with confidence to lead. A compelling Discussion Meet Competition will showcase young agriculturalists in a dialog over issues impacting the agriculture industry. The winner of the Discussion Meet will receive a $1,000 cash award from Nationwide Insurance. A panel of Ohio Farm Bureau Federation leadership featuring Farm Bureau’s OFB President Frank Burkett and Vice President Adam Sharp and will share their vision for the Farm Bureau’s future in an interactive session with young farmers. Additional workshops in conflict and human resource management will offer tools for young farmers can use to effectively lead themselves and others. Networking at the Winter Leadership Conference creates meaningful connections. Young farmers will enjoy fellowship other farmers, explore potential partnerships, and meet mentors and business advisors. On Saturday, The Ohio State University CFAES Center for Cooperatives will present a panel of grant experts from university, government and private organizations. The Agricultural Grant Opportunities Workshop will encourage attendees to utilize federal, state and private grant programs to develop value-added products, accomplish on-farm research and make conservation improvements. The Winter Leadership Conference has something for everyone. Fun workshops will teach attendees how to preserve food, make soap and prep for healthy meals. The conference kicks-off with Friday night food, games and entertainment featuring Big Bang Dueling Pianos. 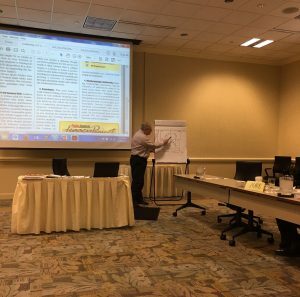 The Mid America Cooperative Council (MACC), an organization representing over 100 cooperatives in Ohio, Indiana, Illinois, and Michigan, is offering a unique leadership training for co-op employees, board members, and other prospective leaders. The sessions on February 21-22 and March 6-7 in Oxford, Ohio will include tours of successful cooperatives in various sectors, sessions on leadership and management, and talks with cooperative leaders from across Ohio, among other activities. MACC Executive Director, Rod Kelsay, talks with forum participants about how to develop their personal leadership skills. Not only did staff learn a great deal from various guest speakers, the forum was an opportunity to network with and learn from other participants who worked across various sectors like credit unions and agricultural marketing and supply co-ops. To learn more about the 2018 Cooperative Leadership Forum, visit http://editor.des08.com/macc/Brochure_CLF_2018.pdf. Contact MACC with any questions at (317)-726-6910 or knowledge@macc.coop.